I don't want to say I'm a craft supply hoarder but I kind of am. My husband has been asking that I get rid of this box of tiles I've had in my garage for nearly two years but I just couldn't. I knew there was a perfect project waiting for them, it just hadn't come to me yet. 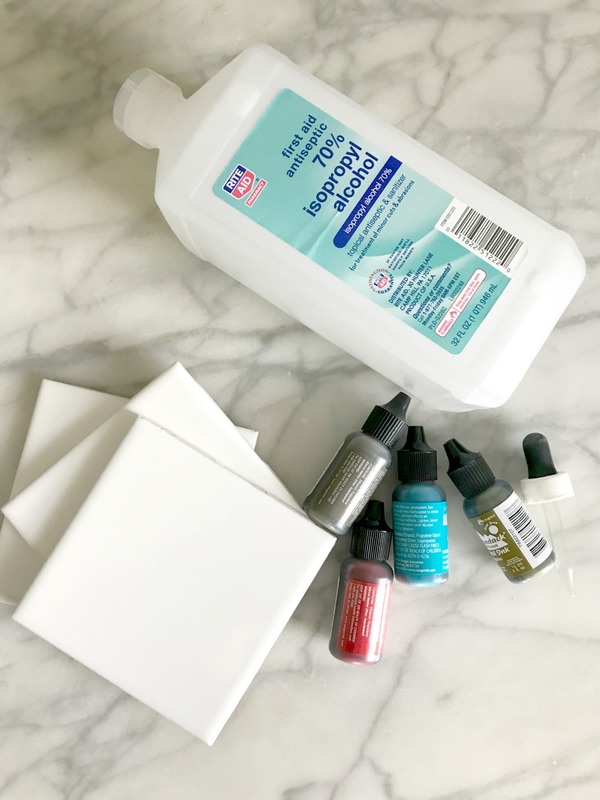 Inspiration finally struck and I had everything I needed to create a fun project. 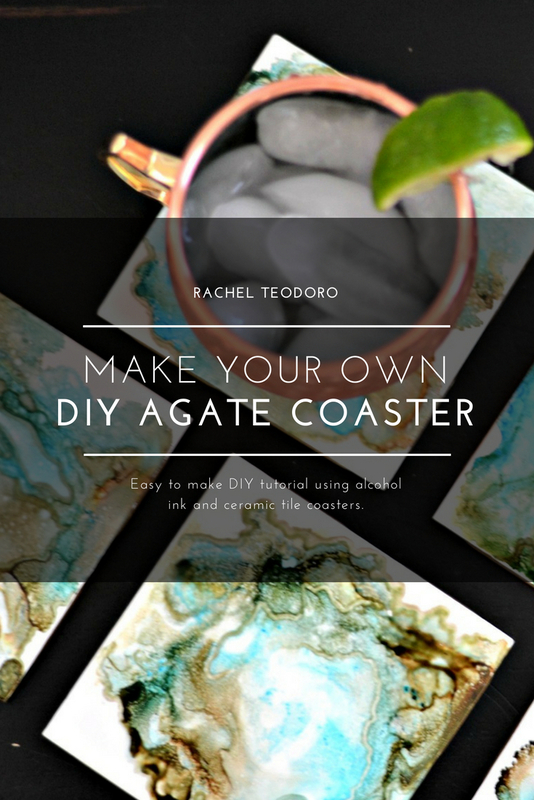 I made these easy DIY Agate stone looking coasters and finished them off with a gold edge. 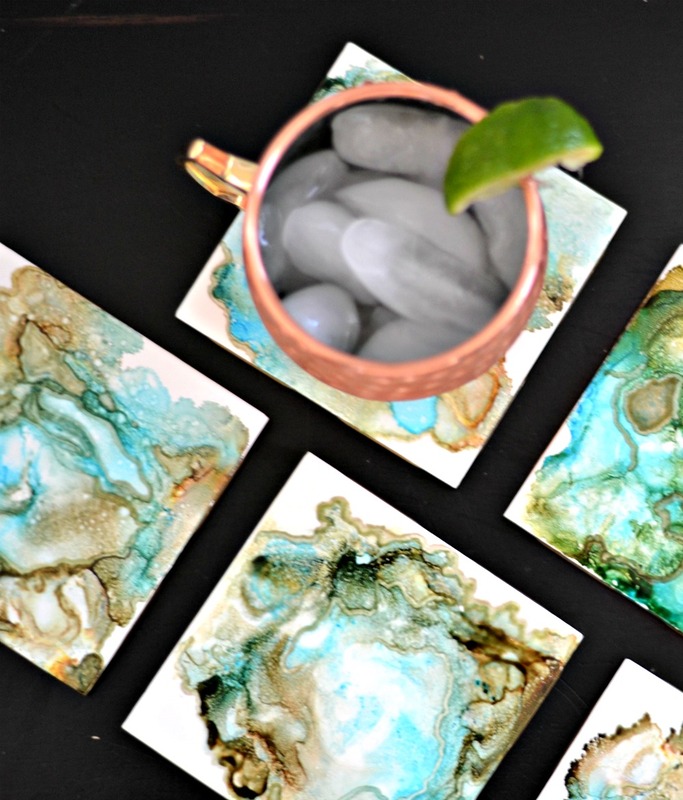 It was my first time using alcohol ink and it was so much fun! My son joined me because it involved lighting things on fire! 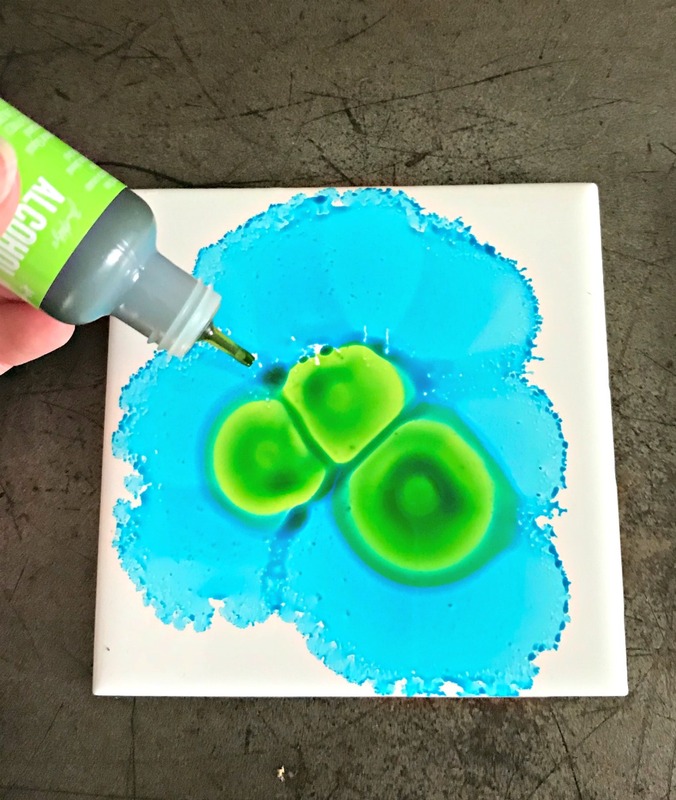 Don't be afraid, it's super easy and the end result is really pretty cool. Come get the full tutorial on how you can make your own. 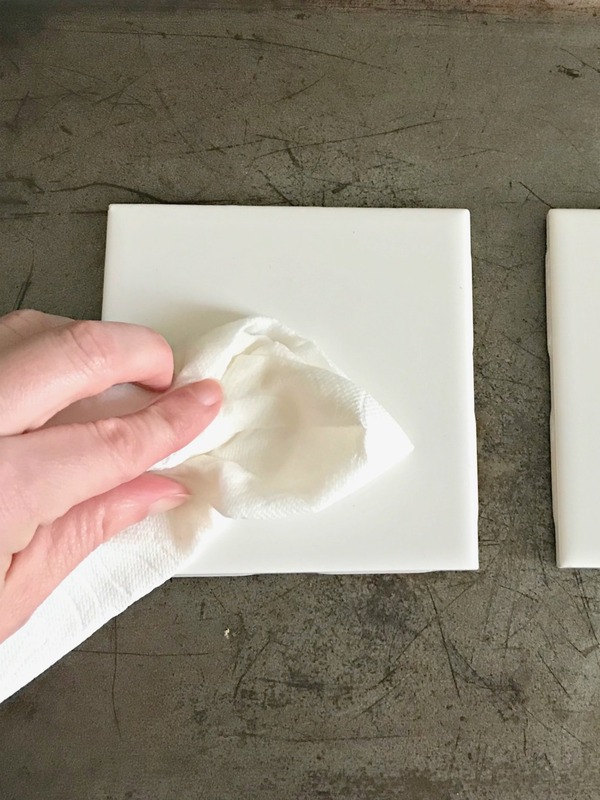 You are going to want to start by using a paper towel with some alcohol on it to wipe clean your ceramic tile. 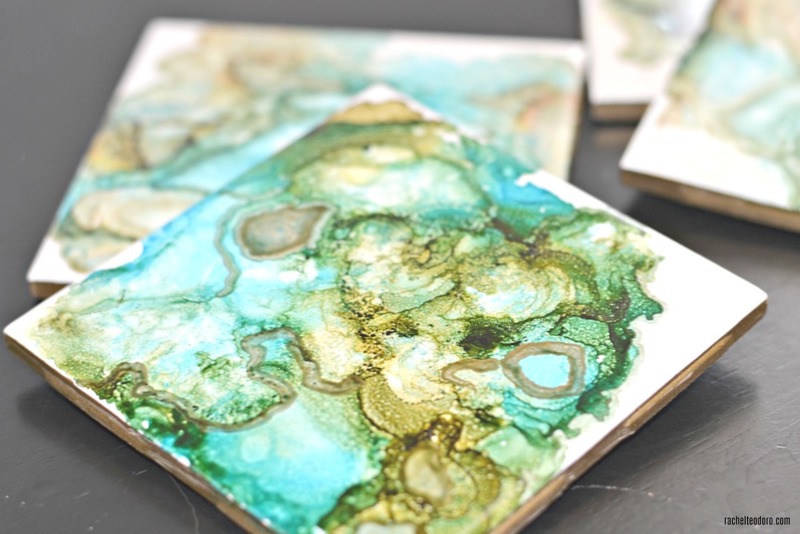 Put a few drops of each of your colors of alcohol ink onto your tile. Drop them randomly and try not to put too much on each tile. You can always add more. Get a dropper full of alcohol. I used 70% and it worked just fine, but a higher alcohol content will burn better. I'm not sure if the higher alcohol content will also blend the inks better, but regardless, I liked the effect, so I'm not recommending one over the other. 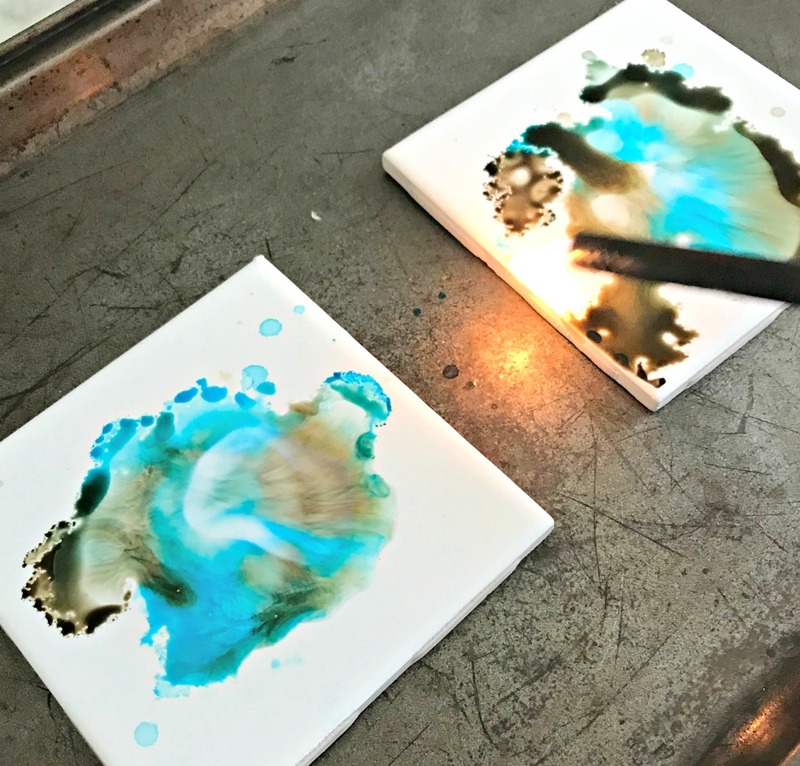 I placed my tiles on top of a cookie sheet and then lit the alcohol on fire. It burned out itself once the alcohol burnt off. 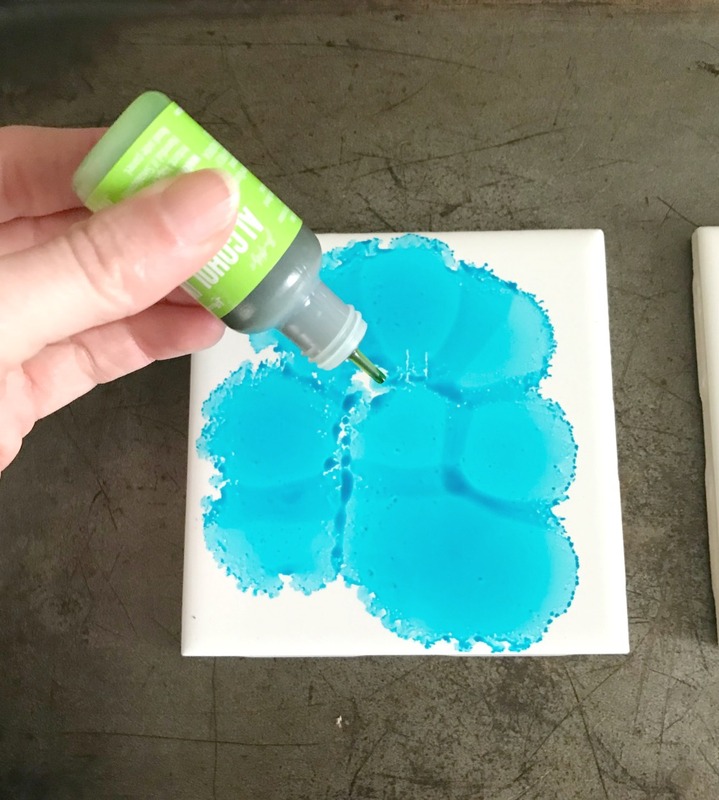 You can tip your tile a bit to blend the colors, or leave it. 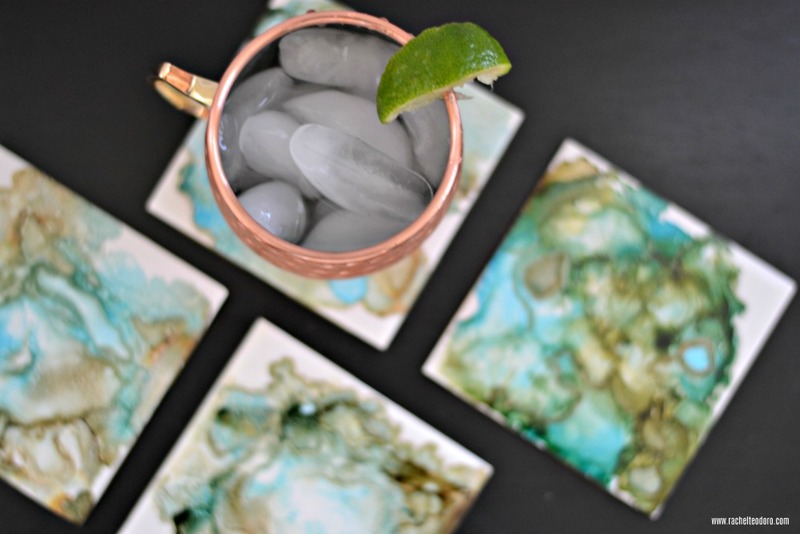 If you want to add more alcohol ink and/or more alcohol, to create a different pattern, you can continue doing so until you have your desired effect. 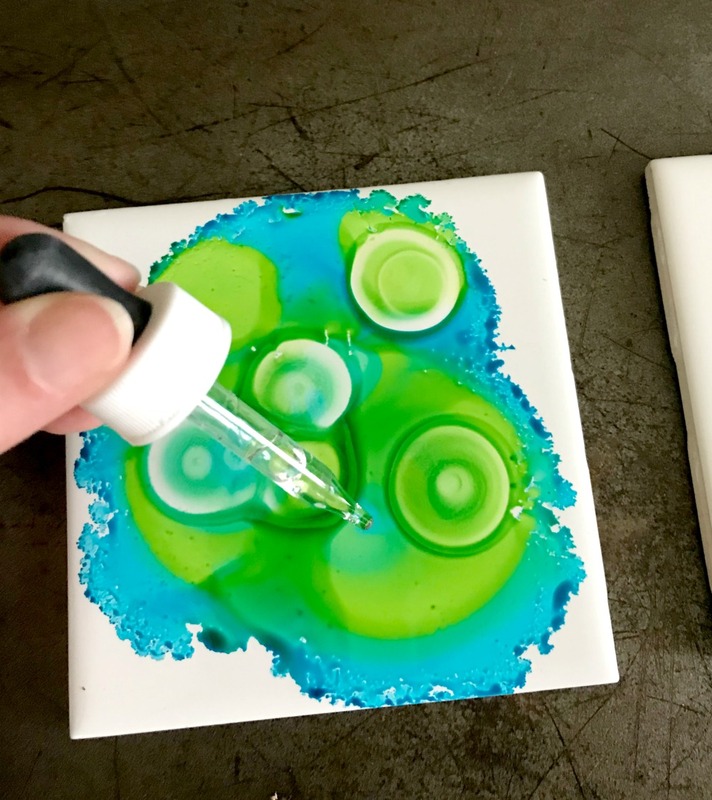 Check out this video for the full tutorial on how you can make your own tile coaster from start to finish. I used a sealer to make sure that I could put a cold sweaty glass on top. Make sure it's oil based or your ink will run. I used a spray like this one. 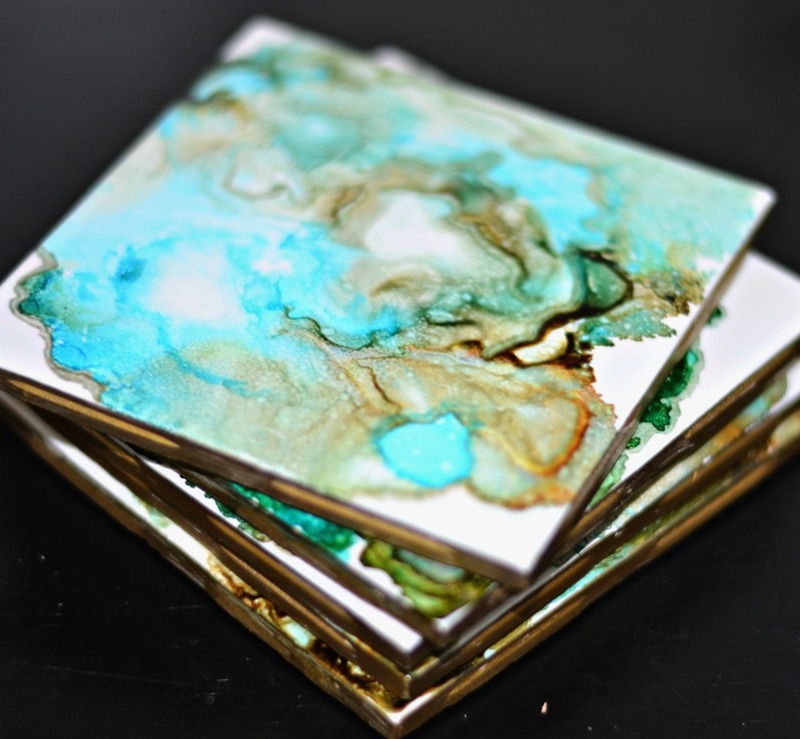 After that, I colored the edges of my tile gold using my gold oil based Sharpie marker. This is an added step that you don't need to do, I just think it makes the project look more finished. I really like how these turned out. I think that the possibilities are endless. 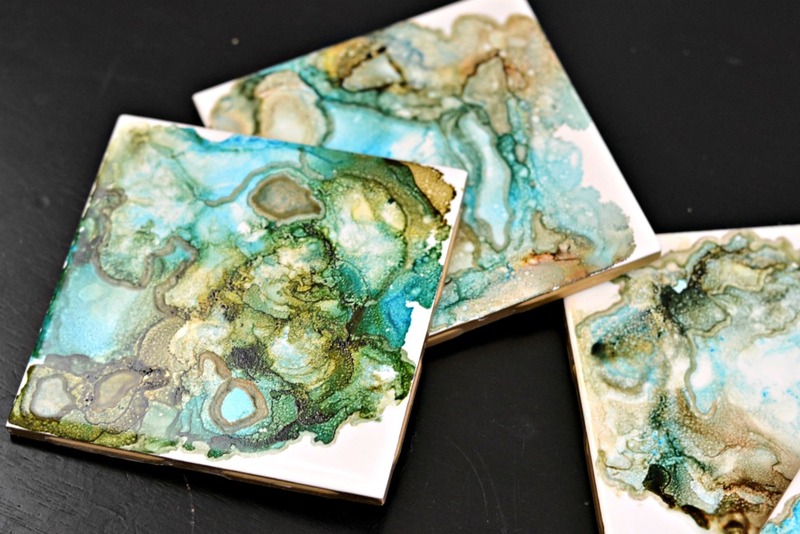 Use two different colors and create a whole different stone look for your ceramic tile coasters. Give it a try. 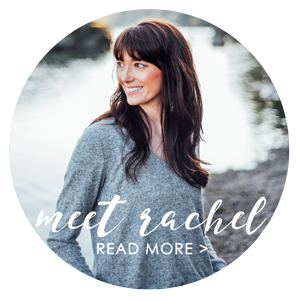 Tag me on social media if you share your image. 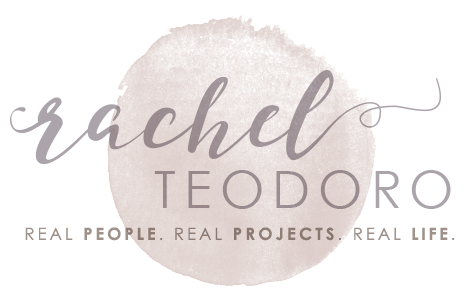 I'm @msrachelteodoro all over the internet! Wow! Those turned out great. I haven't tried this, but I will now. Thanks for sharing. 5 Fun Facts about Disney That Will Shock You!